Welcome to the home of Buildseal, a specialist waterproofing company that has been providing professional waterproofing services to Sydney homes and businesses and builders for over 21 years. We offer a wide range of waterproofing services and joint sealing services for domestic and commercial applications throughout Sydney including bathroom waterproofing, shower repairs, concrete joint sealing and waterproofing. Since 1995, the Buildseal name has been synonymous with quality workmanship, reliable service and value for money. From bathroom waterproofing to commercial joint sealing, make your first call to Buildseal for all of your Sydney waterproofing needs. For a free quote, please contact us today. Buildseal undertake all forms of flashing repairs and replacements, liquid and sheet membranes, expansion joints as well as brickwork repairs and lintel replacement. Whether you need waterproofing repairs to fix a leaking shower or pool, or you are renovating and need a bathroom waterproofing solution to ensure that leaks will never be a problem in your home, Buildseal can help. In fact, we offer a wide range of waterproofing services suitable for almost any residential, commercial or industrial application. For all of your waterproofing needs for your Sydney home or business, rely on the quality waterproofing experts from Buildseal for a professional solution. From bathroom waterproofing services to commercial joint sealing, Buildseal delivers quality workmanship, reliable service and affordable prices. 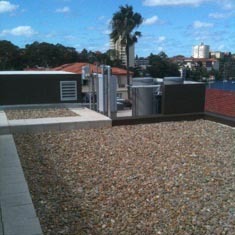 We offer our waterproofing services to businesses, property managers and homeowners throughout Sydney. For a free quote on your next waterproofing project, contact us today or send us an online enquiry.